Mirror, mirror on the wall, who's the most regal of them all? This mirror! 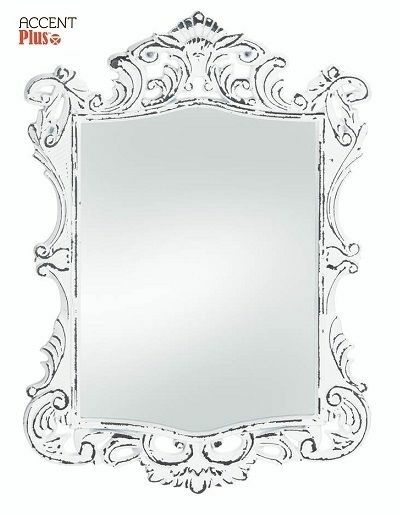 The elegant flourishes of this vintage-style rectangular mirror are highlighted by the timeworn white finish that shows off their curves. Bring a little royal style to your entry, powder room or above your vanity with this lovely accent. Dimensions: 17" x 0.5" x 23.8"